Do you know the secret of success in Internet Marketing? No, it’s not working hard for x months. Also, it’s not anywhere close to learning new tactics, applying them, and testing what has worked well. Who’s got time for that? Before saying “this guy is drunk,” let me put my view of the situation on the table. Competition is what keeps us energetic, and if there are no competitors, then you are most likely to get bored in some time. You want to outrank them and be in the first position, and possibly they want the same. The interesting part here is that you both try some out of the box strategies to keep yourself in the top position. Now, imagine if you could steal the best strategy of your competitors and apply them on your website along with all the effective strategies of yours? Won’t it give you a super boost you wanted to outrank your competitors and be in the first position? Obviously, a yes. 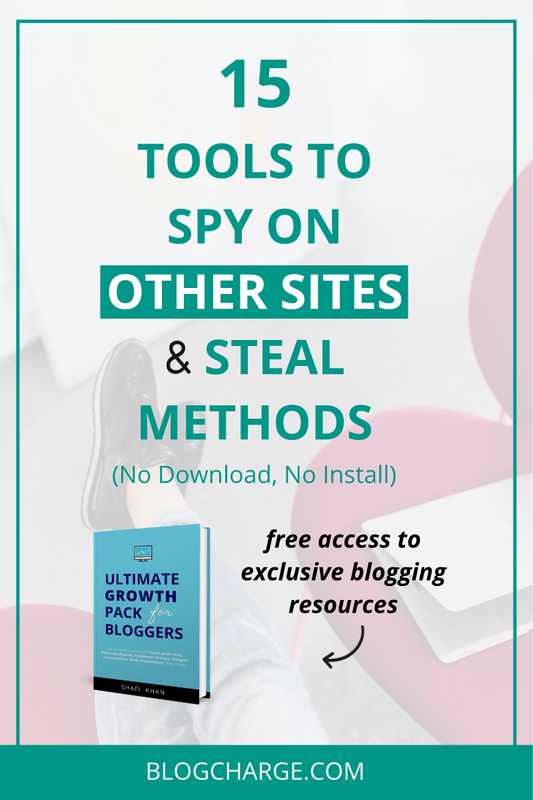 In this article, I’m sharing 15 brilliant tools that can be used to spy on your competitors and steal the effective strategies. I’ll also be sharing the best use of each tool and how to use it to fullest. So, let’s get started, shall we? The first on our list is Majestic, probably the most powerful tool for checking backlinks. Majestic lets you analyze all the backlinks and links your competitors have and from which websites. It also shows you the anchor text used with amounts of dofollow links and nofollow links pointing to that domain. The data is presented in a visual format with graphs and pie charts which make it easier to understand. There’s a free version available which allows you to analyze five URLs every day with limited results. If you have a good budget, then I would strongly recommend you to buy the pro version. Majestic is best used to find hidden backlinks, Private Blog Networks (PBNs), and SEO links of your competitors. 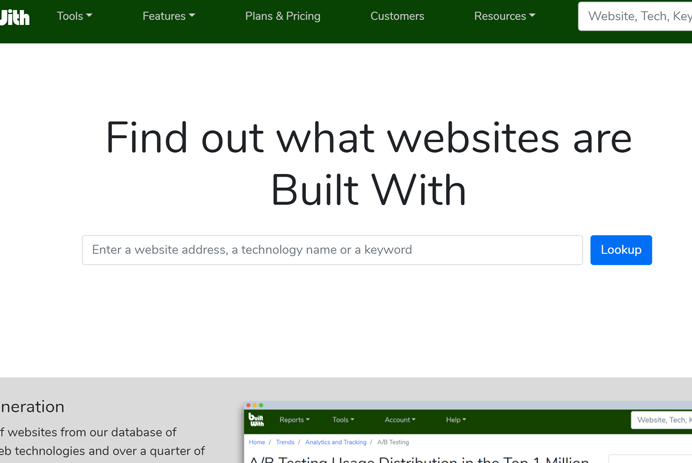 As the name suggests, BuiltWith is an essential tool to identify what blogging platform your competitors are using. Sometimes you may want to replicate some of the design features or widgets of a site and if you know the platform of that site then it is easier to search for a plugin or script. The test results include web server name, SSL certificate, CMS, email marketing service, plugins being used, and other related technical profiles. This free tool by the Satori team will help you find out which theme is being used by a particular WordPress website. Since WordPress is the top CMS in the world powering almost a third of all websites in existence, there’s a fairly high chance that a website you really like is built using this engine. 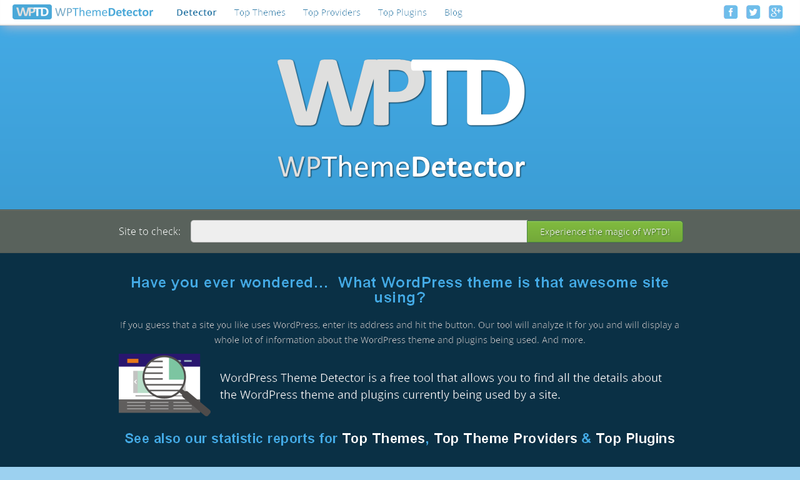 The WP Theme Detector will output primary information about the currently active theme, such as its name, author, version, and of course a link to its official page. In case a website uses a heavily modified theme or a completely custom solution, the tool will issue a corresponding notification. Avoid inventing the wheel – scan an existing website and use the same theme they are using to get a fast start with your next online project. 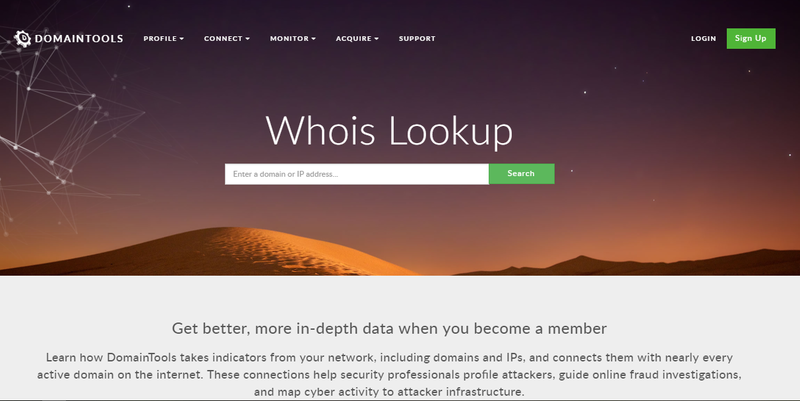 You may have probably heard about whois and why it’s used. Whois is a familiar tool used to check the domain record, owner, registration and expiry date, and the web hosting service being used. It can also be used to find the number of domains your competitors are linked. Moreover, if the owner is not using the Whois privacy guard, then you can locate the email, phone number, or the address of registrar for further use. This sort of information is helpful in outreaching to competitors for guest posting. Best use of this tool is to find the record of the registrar and apply reverse whois to get all the associated domain names. Alexa is again a favorite tool among bloggers which is moderately used to analyze the website traffic of your competitor. There’s a browser extension available which can help you analyze any domain on the go. Premium version of Alexa, also shows you the search queries the site is ranking and the SEO backlinks. 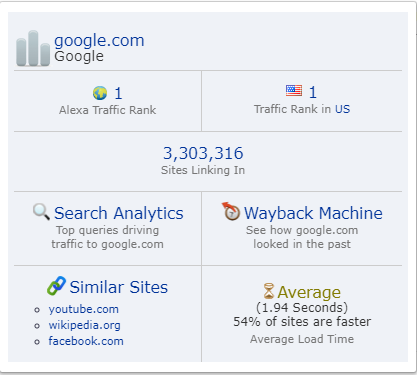 Alexa is a great tool best used for analyzing website traffic, the global rank of a site, and the number of backlinks. However, it can also be used to find the demographics of visitors to the location of access (home/office/school), gender, and education. A more advanced and easy to look alternative to Alexa. Similar to Alexa Rankings, SimilarWeb gives its own ranking to websites based on the quality and traffic. It is used to analyze the traffic of your competitor website along with the amount of traffic flow from different traffic mediums. You can also compare your website with your competitor to get a side by side comparison of different metrics. 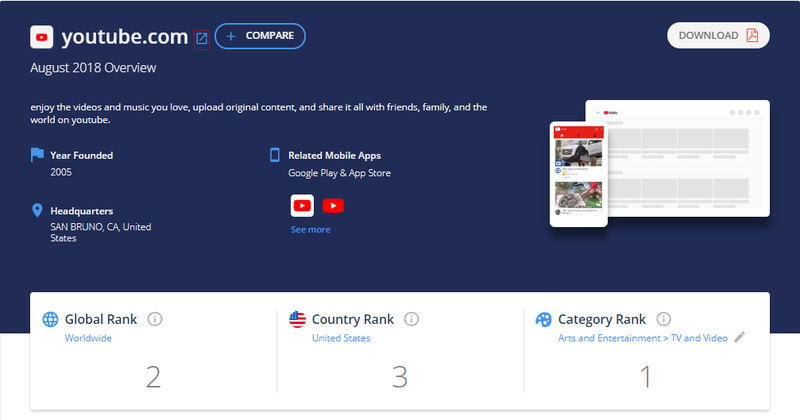 SimilarWeb is an amazing tool to analyze yours as well as your competitor site and see what aspects he is ranking better. With the side by side comparison, things get easier to understand and improve. Spyfu is a secret tool which can be used to analyze your competitor ad campaign. By entering a domain, you can see the number of clicks that site receives using paid methods. You can analyze the PPC Research for your competitor to see the estimated monthly PPC clicks, keywords used, and the amount of budget they invest in PPC. Spyfu is an advanced tool for bigger brands who rely on internet advertising. Being able to check the keywords, ad position, advertising budget, and result will help new brands to plan their promotional strategies. DailyChanges.com is a tool which helps you find out which domains/nameservers your competitor register or drop. It is a handy tool to analyze if the domain has ever been dropped or registered by another registrar. The best use of DialyChanges.com is to find out your competitor domain registers and drop along with nameserver information. 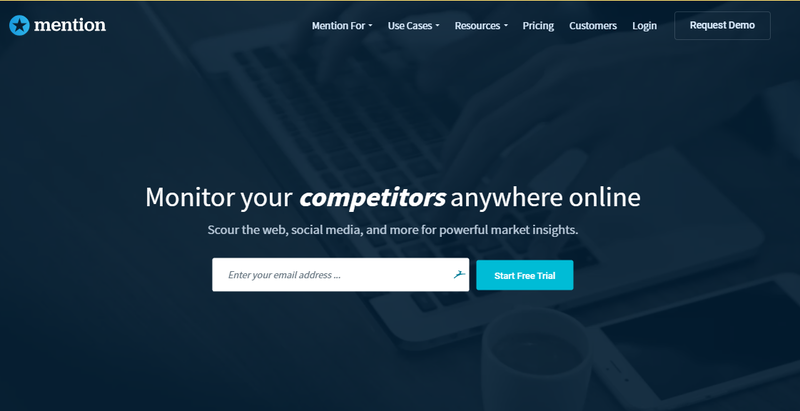 MOAT is definitely the coolest tool for spying on your competitors. 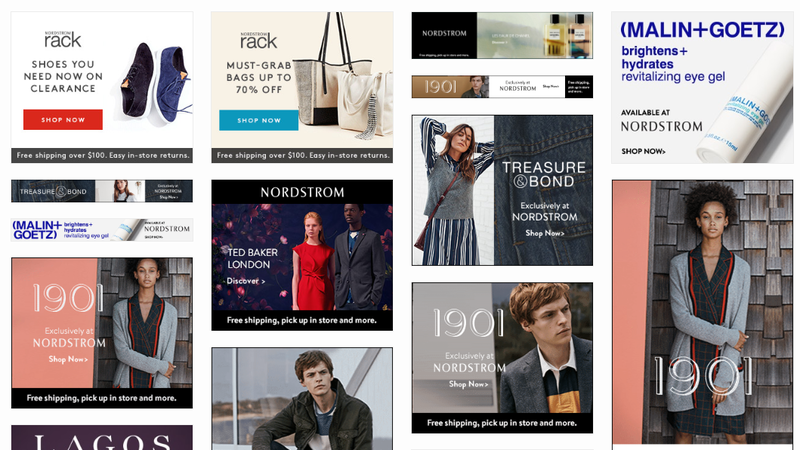 It lets you find out what ads are running on different websites, social media channels, and top brands. It is a social media weapon which analyzes and shows the ad banners, advertising period, and the targeted device (desktop/mobile) of any brand. MOAT is best used to find the creative banners ideas, banner sizes, and get inspiration from them to apply to your promotional strategy. BuzzSumo is a social media weapon which can help you analyze what content performs better on what social media channel. It is also used for finding influencers who have shared content related to your topic and pitch them to share yours as well. It is also an excellent way to find topic ideas based on what is popular on social media and what readers are sharing. You can also enter your competitor’s domain to analyze what are the most shared articles of that domain and revamp your content strategy to outrank that article. BuzzSumo can be best used to find the influencers in your niche, get them to share your articles, find trending topic ideas, and create a brand value. Read this guide from Matthew Woodward where he has used Buzzsumo to increase blog traffic on a new blog. Mention is a handy tool which helps you track all your mentions across all channels – web, social media, news, blogs, videos, forums in one place. You can find tweets about your brand, posts where you’ve been mentioned, and news on any website about your brand. It is important to reply to users queries, and show that you care. Mention makes it easier for you. Mention is a good alternative to Google Alerts and can be employed by brand to find more opportunities to get backlinks, promote their services, and reply to user queries. iSpionage is another robust tool which provides a comprehensive overview of your competitor activities related to advertising. It can be used to look for the PPC keywords being used by your rivals. Additionally, it also allows you to browse the landing pages your competitors are using to send traffic from different ads. Besides providing PPC keywords, and ad copies, it also allows you to browse landing pages on which your competitors are sending traffic from ads. Analyze the PPC keywords, extract the keyword lists, and find out the best converting keywords and landing pages. It can also be used to find the monthly budget spent by your competitors for the ads. The last tool to spy on competitors is SocialBakers. It is used to get meaningful insights and discover your competitors’ promoted posts. It is mainly targeted to social media channels and what posts are being advertised by your competitors. So, if your opponent is out-performing you on any social media channels, you’ll be informed. SocialBakers can be positively used to keep track of competitors promoted posts, how well they perform, targeted demographics, and apply the strategy to your promoted posts. Also, the notification feature is pretty useful to keep updating the strategies as soon as your competitors out-perform you. Ahrefs and SEMrush are industry best tools and probably the best alternative to each other. Both can be used to analyze a competitor’s website, search ranking/positions results, and PBN links to examine the authority of your competitor. Both are best utilized in their respective pro versions. You can test drive both SEMrush & Ahrefs using 14 days free trial available to new users. 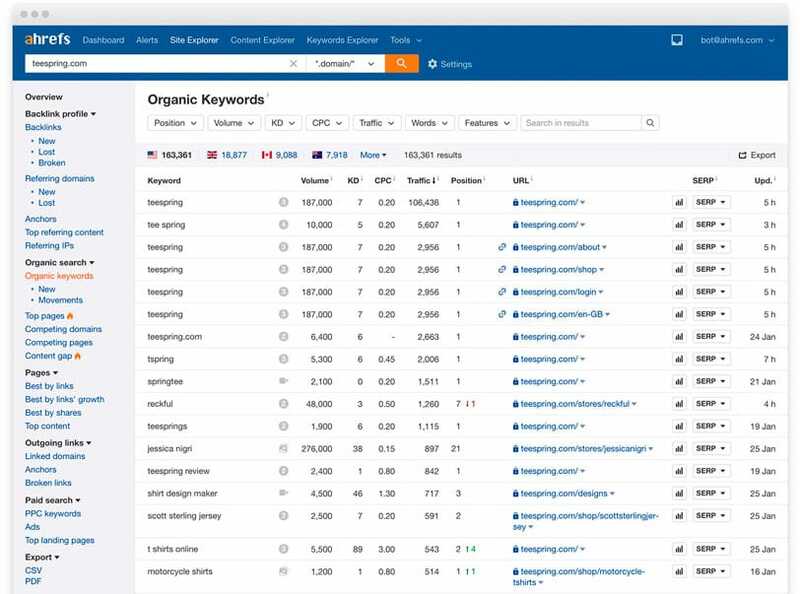 Ahrefs is an advanced tool to analyze keywords competition, the position for various search queries, and finding SEO backlinks. SEMrush is also a great tool for the above-stated features but is more affordable than Ahrefs. Spying on competitors is one of the smartest things you would do to grow your brand. You’ll be learning from your opponent’s strategies while mixing with your own. Did I miss any of the brilliant spying tools? Tip me through the comments. Also, make sure to share this post with your friends and followers. Yikes!!! I think I know what I’m doing tomorrow…and the day after and the day after that. Thank You For Sharing the very well written and interesting blog!! I find Alexa.com most relevant, this is the first what I look to see if I find that website relevant. I use Seoquake extension to easily check the Alexa rank for some website. Hey Jarvee, that’s a good strategy. Thanks for commenting. Hello Bhaskar, it is one of the most popular posts on the blog but there are more you’d find interesting. Keep visiting. Great post like always, good to have info about all these tools thanks for this wonderful share. Thanks for sharing,Really Nice Article ! keep up the good work. Great tools are listed here. I am now using Semrush and it now becomes one of my favorite tools for keyword research and link analysis. Thank you so much for sharing this nice informative. Really informative article Shafi, keep up the good work. I never heard of Daily Changes .. that sounds really interesting actually. I’m going to try it out. Thanks for that AND the entire list actually. Great tips, I haven’t personally used SEMrush, but I’ve heard a lot of bloggers talking about it. I really don’t spend a lot of time analyzing my competitors, but I know that I should be doing more of it. I am going to spend some time this weekend checking out the tools you mention. After all, I am always looking for ways that I can keep ahead of the game. Great post Shafi, however it’ll be great if you can specify which one is paid & which one is free in subheads. Thanks for the tip, will update the article ASAP. These tools can really help us copy the tactic and strategies of the big names on the blogging world! Using these tools, one can understand the advance strategy being used by their competitors and apply the same. Semrush is my favorite tool among the listed ones. The best thing I liked about semrush is it will show traffic stats of our competitors which most of the other tools lack. SEMRush is an absolute beast and one of the must-have SEO tool for Internet Marketers. I am writing a massive SEMRush guide & hopefully, you’ll love it. Most of the tools you mentioned here are really useful to out-smart our competitors.The paid version of Alexa.com was quite useful to identify quality backlinks for which other websites are ranking and approach them with for a backlink. Thanks for highlighting these tools. I’ve never bought the paid version of Alexa but heard some good things about them. Personally, I use SEMRush and Ahrefs to get the backlinks information about any domain. Ahrefs has a great database and the results are best. Thanks for leaving a comment. Keep visiting. If I have logging in Ahrefs as free membership then it’s demand for card. Is any free option on this tool. I’m great fan of your blog. Try using SEMRush with 14 days free trial. No free tool (as of the moment) come closer to the features provided by SEMRush and Ahrefs. Thanks for good words. Keep visiting. Really this blog post helps me a lot. But I have one question, how can I find my competitor AdWords location? Do you have any tool for that? You can use SpyFu (mentioned above) to find the AdWords location and Ad positions. Give it a shot. Well I think I have never used any of the tools mentioned above. Using these tools we can surely steal techniques from competitors. I have used ahrefs and its really good but kinda constly. 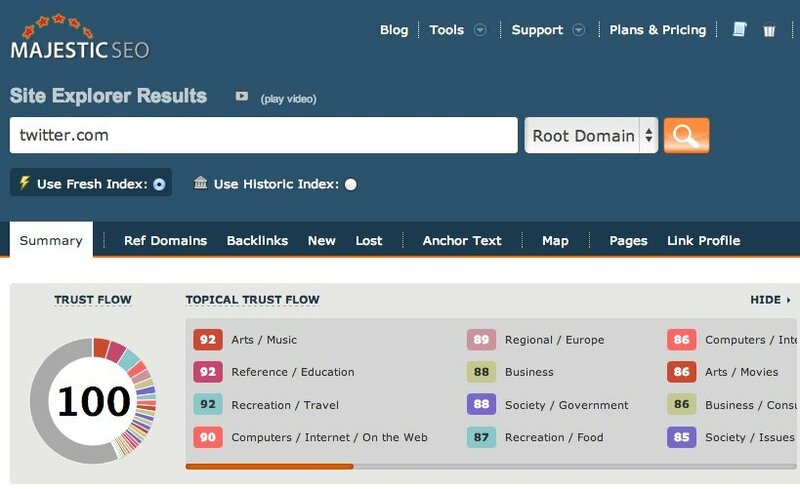 Ahrefs is an awesome tool, and it can also be used to find backlinks and PBN of your competitors. Although, a bit costly, it is worth the money spent. I’m currently using k-meta tool have you seen it? This tool might be another great keyword research tool to add to your bookmarks!